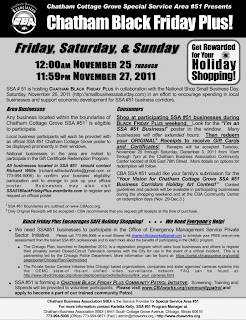 The 6th Ward has historically had one of the largest concentrations of black businesses and entrepreneurs in the city of Chicago. Alderman Sawyer is committed to revitalizing all of the arterial and business streets in the ward as part of his plan to increase economic development as well as safety in the community. And my hope is that the 6th Ward will be open for business first and foremost. 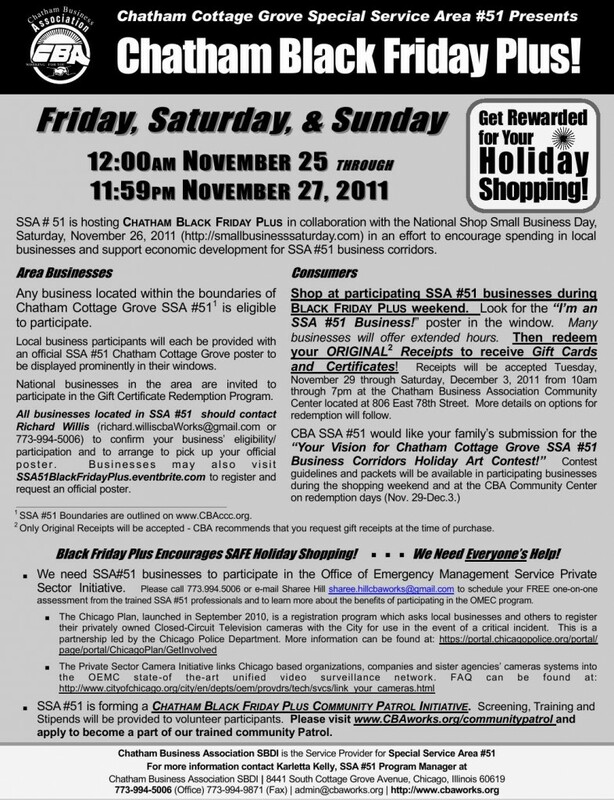 Do you plan to shop local for the holidays? You will see a flyer below.